As of July 2018 ASH is temporarily not accepting referrals due to a high volume of individuals on the waitlist, please check back soon. Please note: Addictions Supportive Housing (ASH) is not emergency housing. We currently have a waitlist in London and are processing a high volume of referrals. Addictions Supportive Housing (ASH) is a program designed to assist people who have trouble maintaining housing due to their substance use and are looking to make positive changes in their life. Participants work with an Intensive Addictions Case Manager (IACM) on a regular basis. The Intensive Addictions Case Managers work with clients to develop an individualized approach to treatment. 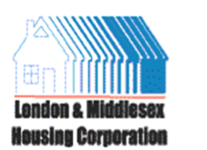 Participants may be eligible for housing in various locations within Thames Valley. Each client in the ASH program will be living in their own apartment. Rent will be based upon income. Includes: heat, hydro and water. Apartments will include furnishings such as a single bed, kitchen table, loveseat and basic household items. Only PETS acquired prior to entering the program are allowed and will need to be screened. No pets can be acquired during the program. If clients are currently clients of ADSTV, they should speak to their counsellor about a referral, otherwise referrals may be made by a referring agency or the client. Once a referral is received, ASH staff will review and invite client to an Information Session or make arrangements to review material with clients. Referral approval is required prior to the invitation to the Information Session. Clients will attend an Information Session and if client feels the program would be beneficial to them and they are able to commit to the ASH program they will be invited to attend an individual session with an Intensive Addictions Case Manager (IACM) with ASH. At each of these individual sessions a client will be asked to bring pertinent information to verify income and citizenship status (such as a birth certificate and a cheque stub from Ontario Works). If a client is appropriate, the ASH team will present the client to the Admissions Advisory Committee for review and prioritization. All admission decisions are made by the Admissions Advisory Committee. *Please note: If a client lives outside of London and/or would not be able to attend ADSTV main office due to travel restrictions or other concerns, alternate arrangements may be made when available. Referrals can be made by a client or by another service provider. A. The ASH program does have some availability to support participants who are currently parenting or have access to their children. Q. What if the participant owes money to London Housing? A. Clients who owe money may be eligible to participate. Q. What if the participant wants to geographically relocate to areas served by the ASH Program? A. Clients are eligible to apply to the community of their choice and encouraged to apply to the location in which they want to live in after the program. Q. Will the participant need to sign a lease? A. Participants in the ASH program sign a Housing Agreement with the Housing Partner. Participants are not considered Tenants of the unit and housing is contingent upon their participation in the ASH program. Q. How will the participants pay rent? A. Clients will be expected to pay the housing partner directly. Q. Can someone participate in the program if they are on Methadone or Suboxone? A. Yes! Clients are able to attend a local pharmacy or clinic as. Q. Are participants responsible for their own medications? A. Yes! Participants are responsible for working with their doctors in regards to their medication and taking as prescribed. Q. Will participants be allowed to have pets in the unit? A. Only pets acquired prior to entering the program are allowed in the units and will need to be screened. No pets can be acquired during the program. Q. Will participants be allowed to have extended absences? A. Yes, participants will be able to have approved overnight stays or absences that support their treatment plans. Q. Will participants be allowed to have guests in their units? A. Yes! Participants will be responsible for anyone they let into the building. The units are all single dwelling and no one other than the participant will be allowed to live there. Q. Will participants be expected to be working / in school? A. No. Participants are encouraged to engage in their individualized treatment plan which could include work or school as a part of the process. Q. How will the wait list be managed? A. The Admission Advisory Committee will review all appropriate applications and will be prioritizing based on a housing priority assessment. Q. Who are the Admission Advisory Committee? A. The committee will be comprised of representatives from community agencies, housing partners and ADSTV/ASH staff. A. Participants will be signing a legal contract in the form of a housing agreement therefore clients much be 16 years of age or older to participate. Although, participants must also meet all eligibility and admission criteria. Q. Will participants living space be private? A. Yes. Your Case Manager will visit you with notice, and the Housing providers are required by Health and Safety directives to inspect your dwelling periodically, with notice.